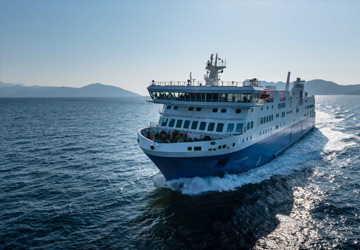 The Piombino Portoferraio ferry route connects Italy with Elba and is currently operated by 4 ferry companies. 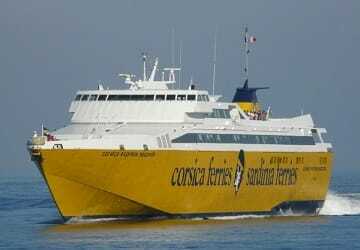 Corsica Sardinia Ferries operate their crossing up to 5 times per day, Moby Lines 12 times per day, Toremar 21 times per day & the Blu Navy service is available up to 5 times per day. 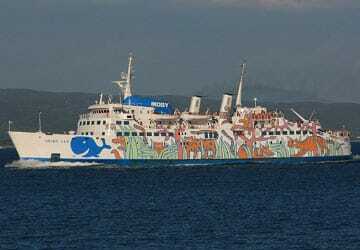 There are a combined 43 sailings available per day on the Piombino Portoferraio crossing between Italy and Elba and with 4 ferry companies on offer it is advisable to compare all to make sure you get the best fare at the time that you want to travel. Prices shown represent the average one way price paid by our customers. The most common booking on the Piombino Portoferraio route is a car and 2 passengers. "Expertly run and organised crew "
Simplicity itself! Completely organised and professional and very very pleasant experience ! 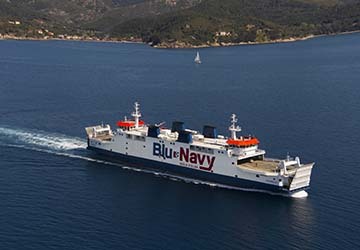 Really pleased with both crossings and would certainly recommend Blu Navy for the ferry crossing. On time and fast. Good organisation of embarking and disembarking. Toilets could be cleaner with better door locking. Very expensive for such a short crossing. Enjoyed the trip, but particularly enjoyed the sign in English that said that only blind guide dogs were allowed inside. Hilarious. 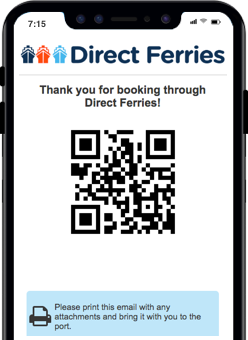 This was a great ferry company - the boat was much smaller and sleeker than the competition, so loading and unloading was fast and efficient. Short 30 min trip both ways. Everything went like clockwork. Very comfortable inside with a nice bar and good sandwiches. The ferry crossing itself was pretty straightforward and hassle free. The signage at the port could be a lot better when you're collecting tickets or enquiries. It took a while to locate the right office. A perfect way to get to Elba either with or without a car. Everything was on time, clean facilities, drink and snack on board, quick boarding! Strongly recommended!